When we return from skating, parent take over teacher and staff duties, so the staff can enjoy a holiday meal together. If you would like to provide food for the staff lunch and/or volunteer for covering their responsibilities during lunch, then please sign up at http://signup.com/go/c759F9 Let’s show our teachers how much we appreciate them by treating them to some delicious food and giving them a bit of a break! After recess, we will be doing the Egg Drop to see which team’s design successfully prevent their egg from breaking. Then we will go to the classroom parties. You should have heard from your Room Parent or Teacher about how you can support each of those events. Obviously, it is a BIG day and your support of this celebration is greatly appreciated. Be sure to complete your Family School Partnership Survey that Ms. Livingston emailed about earlier this week. This is important feedback for the school, and we use this information to improve our school and its learning environment. Deadline is TODAY Friday December 16th. If you don’t want to do the digital copy, there are some paper copies in the school office. Again, your feedback is so valuable, so please take the time to get it done today! My name is Tricia Logan and I am at teacher at Coal Creek Canyon K-8 and am currently sponsoring a trip for the 7th and 8th graders to go to and experience Washington DC. Unfortunately, we have a few students that are short the necessary funds. We have been working hard and fundraising throughout the year, but with such a large class those raised amounts are spread thin. I am asking for any kindness from our community in the form of monetary donations. We are still about $5000 short! Any amount is helpful. 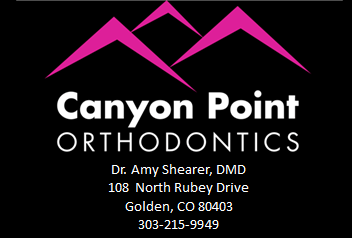 Cash or checks can be sent to the school in care of Sheryl Roberts (the Principal’s Secretary). We sincerely appreciate any help you can give us. We are getting close to our deadline and any donations would need to be in by January 10th. If writing a check, in the memo line please note that this is a Washington DC trip donation. Help us get a 3-D Printer!! We have launched a second Donors Choose campaign. Donors Choose works just like KickStarter or GoFundMe, but they are specific to meeting the needs of schools and classrooms. Ms. Norris is fundraising for a 3-D printer. This piece of equipment can give our students an opportunity to utilize team-work and problem-solving skills. Students will have an opportunity to propose, develop and perfect possible solutions developed around specific projects. To support this project, please visit: https://www.donorschoose.org/project/stem-3-d-printing/2316896 Please share this link with your friends and family, too. Anyone can support the project from anywhere! 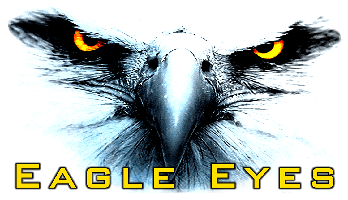 DECEMBER EAGLE EYES CHALLENGE: 3rd Grade friends and family claim your spot today! Let’s see how many days we can fill from 3rd grade participants!